Keith adopted Josie in December of last year and offered to foster for us. The minute Keith saw Moolah, he had a huge smile on his face and said if Josie likes him I might adopt him. Well less than a week later he signed the adoption papers at the National Greyhound Walk GAGC hosted at Sharon Woods. 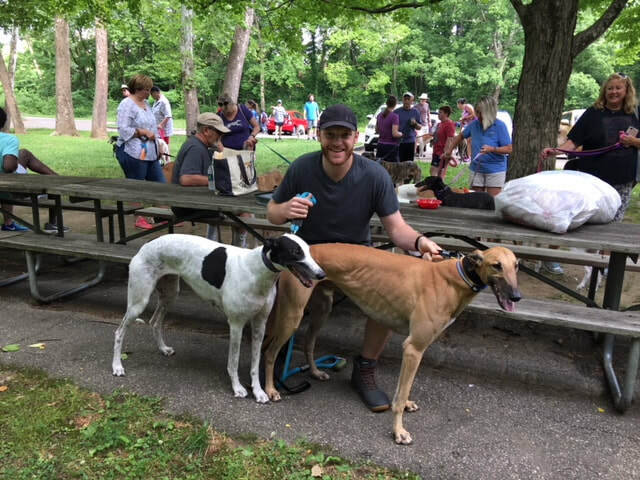 These two hounds and Keith make a greyt family!